White Jasper stoneware low relief applied to a solid white Jasper ground, both relief and support produced in a mould and luted together before firing. 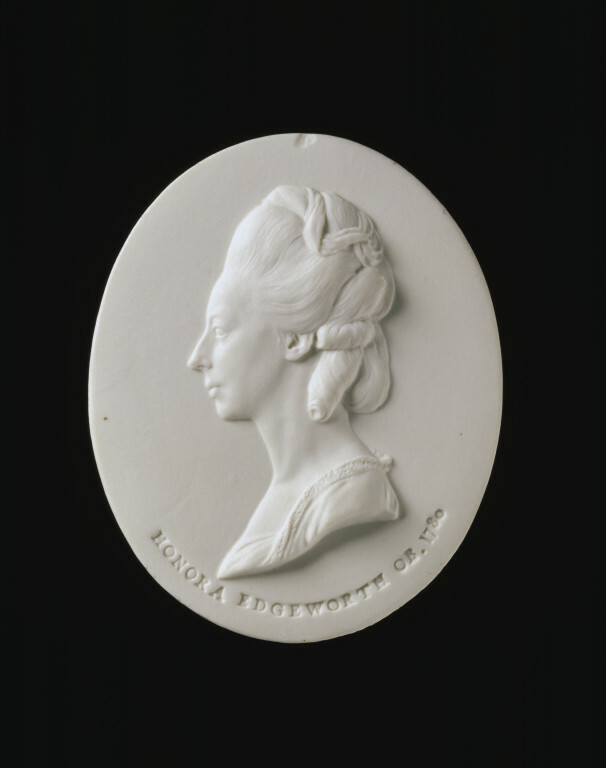 Oval medallion (7 x 5.7 cm) with head and shoulders portrait in low relief white Jasper stoneware on a solid white Jasper ground; she is shown facing left; the front impressed 'HONORA EDGEWORTH OB. 1780' below truncation; the back impressed 'WEDGWOOD' and inscribed 'old 1559 white' and with two large conical vent holes. 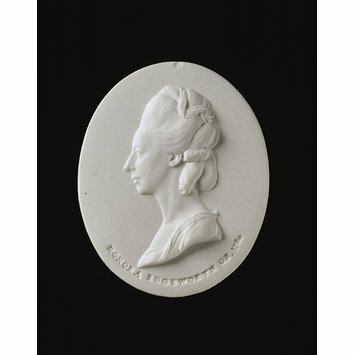 Provenance: by descent through the Wedgwood, Darwin and Vaughan Williams families.